June was a busy month for us which was very different from previous years. We usually got a ton of Fall brides but never this many in early summer. Each one was beautiful and unique and we adored every minute of it. Brooklyn & Nathaniel were no exception. The wedding was so lovely and the couple so beautiful. We are always a bit sad when we don’t get to plan the event. But, it is always super exciting to be able to create such colorful floral for such an important day! This was one of my favs. It even got featured in The Wedding Mag! 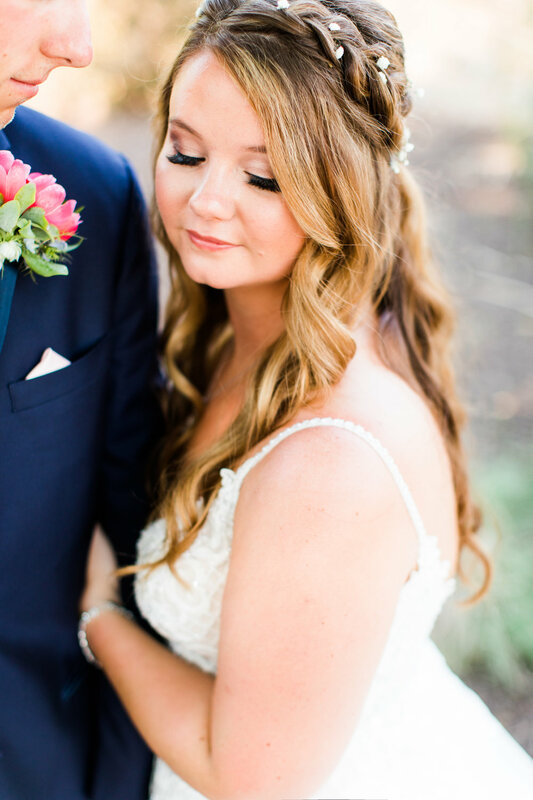 “Our Bride Brooklynn was such a beautiful and carefree soul. She was so sweet walking into my office, not sure exactly what she wanted in terms of flower types. She told me she didn’t want anything too flashy, just colorful and fun, which matches her personality perfectly. 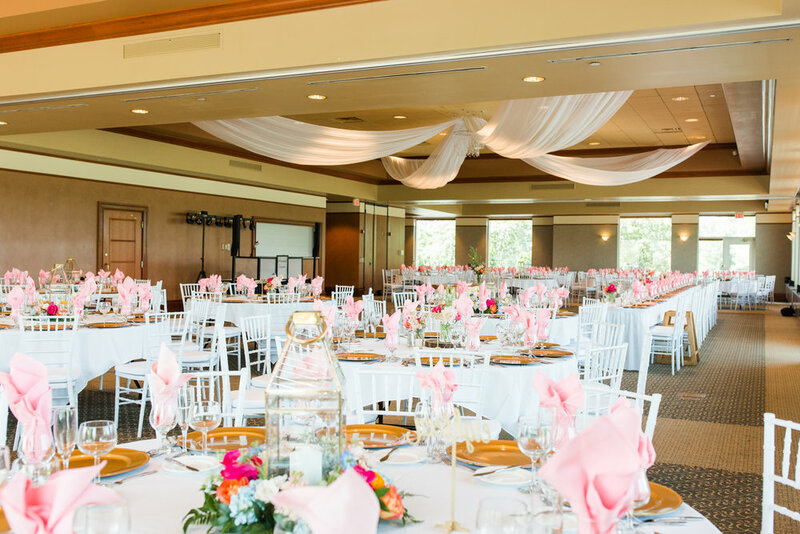 Billowy white drapery above the dance floor, pink napkins on the tables, and pops of blue, pink and yellow floral everywhere. The centerpieces were precious and simplistic which fell into theme well. 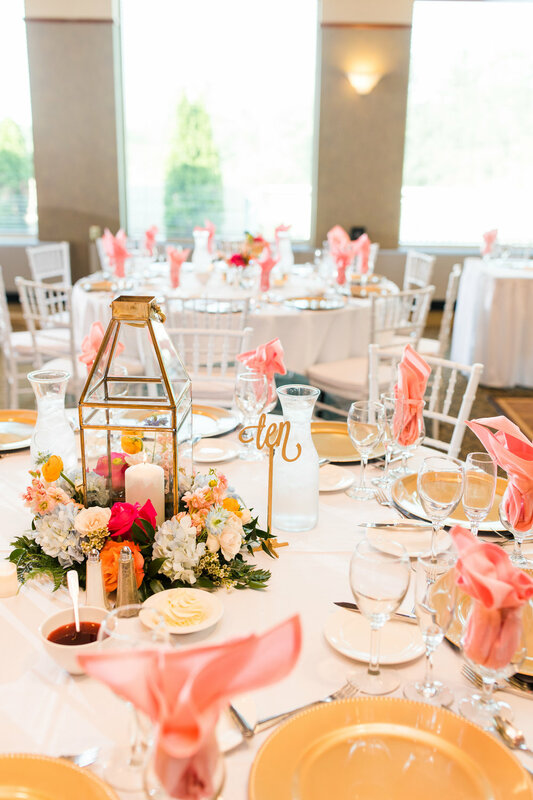 Some tables adorned rustic wooden details with ball jars filled with the same bright colors and some held gold lanterns with a floral wreath around the base atop crisp white linens. And after the ballroom was set, it looked just like Brooklynn… colorful, bright and fun! We wish you the very best Brooklyn & Nathaniel! 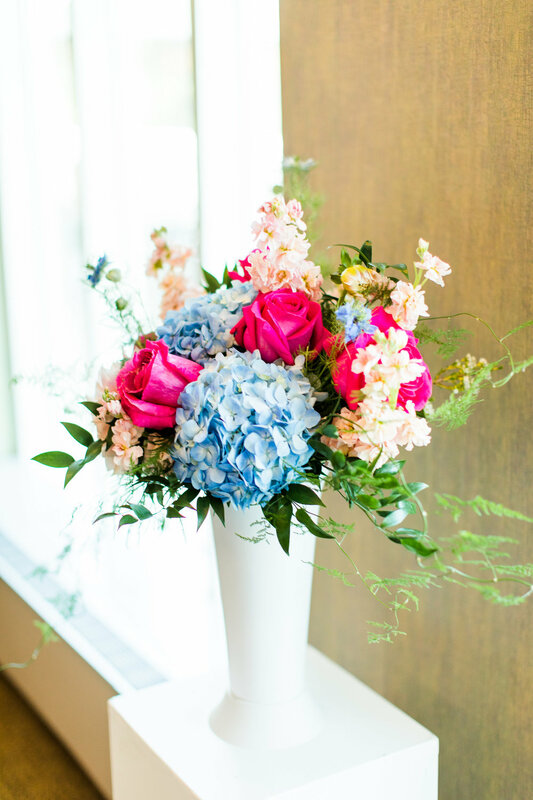 Ps… I am still crushing on the colors in this bouquet!